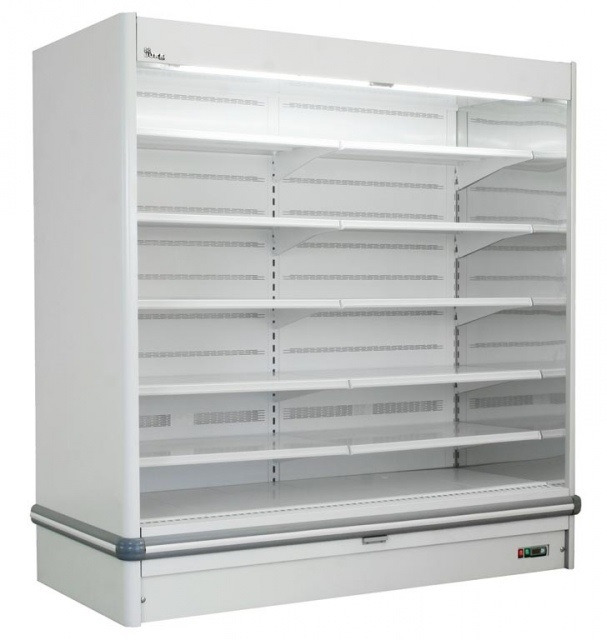 The remotely refrigerated wall cabinet is equipped with paint-coated steel interior, 5 pcs vertically adjustable shelf(ves) with price tags, digital temperature display, dynamic cooling, night curtain and top light. The price does not contain the refrigeration unit! Colour of the element (side, top, grill – perforated steel, bumper, base) of the wall cabinet is available in the given RAL colours.